The Widow’s Assassin is a story about answers. It is a story which deals with what happens if you ask the right questions – and how you may regret that later on. It provides answers to some obvious questions but it also provides answers to questions that you may not even have thought to ask. Nev Fountain provides a fast paced, witty, thrilling plot that manages to keep the listener interested from start to finish. Fountain achieves a complex and intriguing plot that manages to keep the listener hooked throughout but doesn’t take itself too seriously while doing it. While Fountain’s plot is dramatic it doesn’t make the listener feel as though all is doom and gloom; in fact some of the story’s best moments are comic in nature. Good examples include the opening with Guard 1 and Guard 2 , this is played brilliantly by Andrew Dickens and John Banks respectively. The scenes featuring Baron Pteratrar who has some great one liners throughout the story such as “I will now stalk angrily from this place with my cape flapping”. Fountain’s wide range of characters also helps to keep the plot going. They are so individualistic and interesting that you want to keep listening until you know what will happen to them and if they will succeed in their individual stories which all cross through and connect with the main story. The acting is also fantastic. Special praise must go to Nicola Bryant and Colin Baker for their superb dexterity. Both manage to play their parts excellently and also manage to look at The Doctor and Peri’s relationship in a much deeper way than has been done before. Bryant in particular gives a resounding performance of Peri, one of her best yet, and makes the character feel much more palpable and interesting than she did in some of her TV stories. Baker’s Doctor is also brilliant, with the Sixth Doctor seems to be a much more likeable character thanks to his various Big Finish appearances. The blustering and arrogance is still there but it is much softer and allows Baker to show a much more reflective and sombre Sixth Doctor and this plays well with the story which in itself is reflecting on the lives of the Sixth Doctor and Peri. 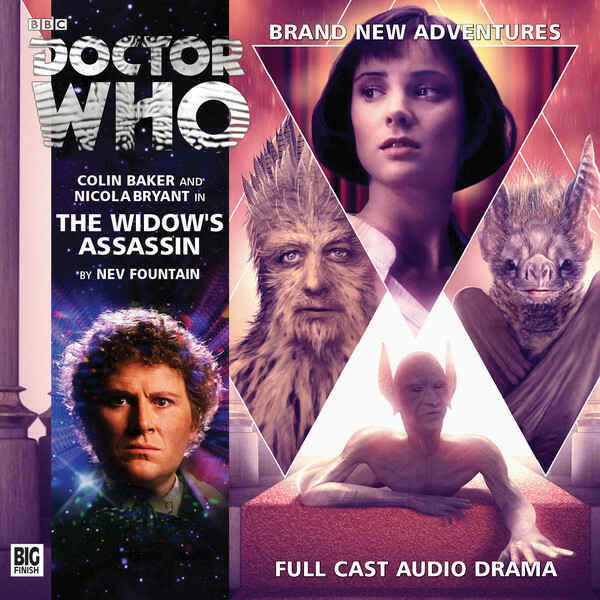 The Widow’s Assassin is a fantastic Doctor Who audiobook which I would highly recommend. It is a space thriller with a witty sense of humour and great central performances. It is a story that will shock you with its twists and delight you with its comedy. A must have for any fan of Big Finish and Doctor Who.